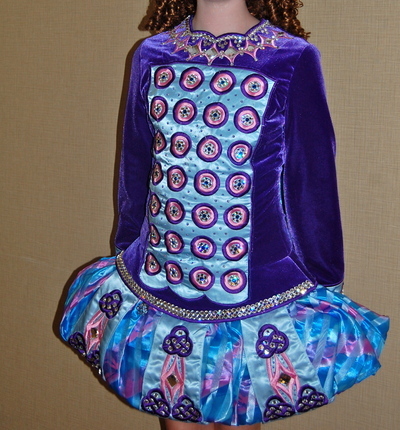 This beautiful Siopa Rince dress was new in November 2009 and has been worn a total of 8 times. 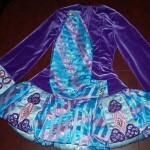 This dress is in excellent condition. 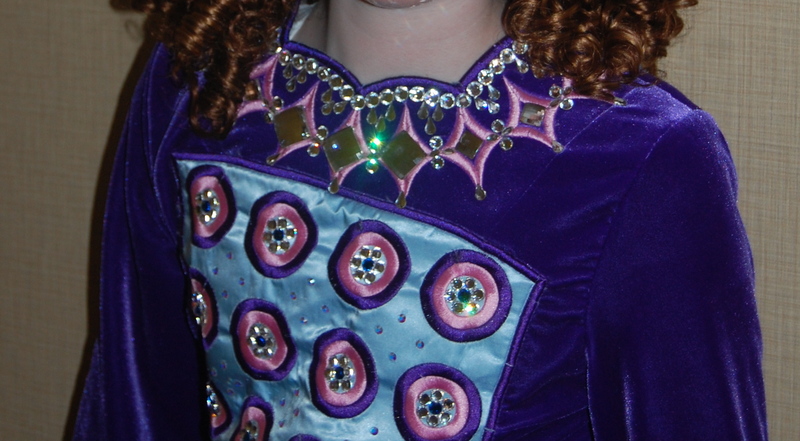 Rich purple velvet bodice and sleeves. 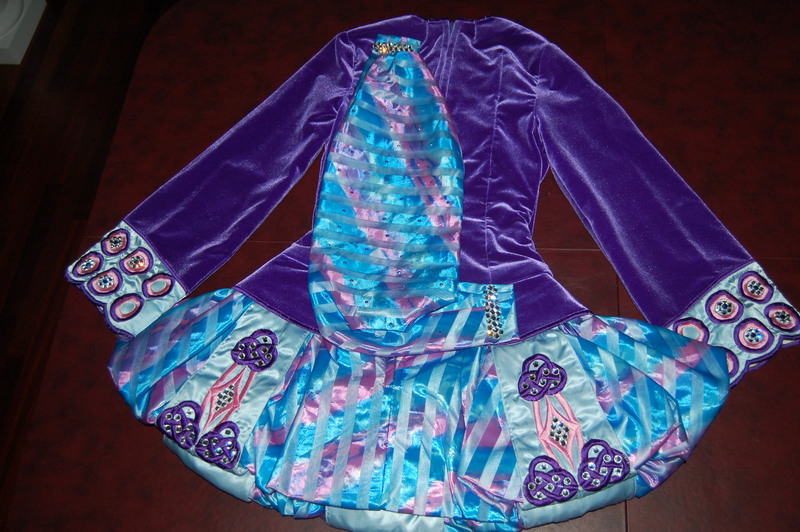 Organza and satin bubble skirt in shades of pink, blue and purple. It is covered in Swarovski crystals and â€œshimmersâ€ on stage. 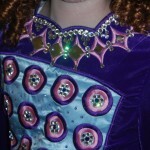 Over 100 crystals in neckline alone! Soft cape, headband and spankies included.